In this article, we focus on the coping, healing, and commemorative aspects of religious rituals, discussing three annual religious feasts that also have significance as expressions of ethnic culture. They are the feast of the Dormition of the Mother of God of the Pskovo-Pechersky Monastery, the Saarivaara Chapel temple feast in North Karelia, and the pilgrimage of Saint Tryphon in Finnish Lapland. 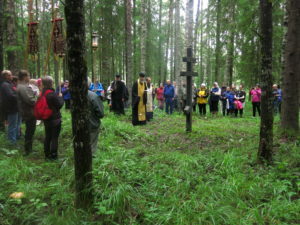 All take the form of Orthodox Christian processions or pilgrimages and are situated in symbolically significant landscape in the historical home area of minority groups – Setos, (Border) Karelians, and Skolt Sámi. The article relies first and foremost on research material gathered through participant observation in these three religious feasts. Over the course of the past century, Europe has gone through several turbulent periods of change, during which national borders have been redrawn and peoples have been forced to move – in search of a better life, to preserve their identities, or even to survive. The two world wars and the fall of the Soviet Union are prime examples of such tumultuous times. They catalyzed border changes and waves of migration among many European nations and communities. All these events led to major transformations in the territorial composition of Russia, with repercussions for the surrounding areas. In this article, we discuss three peoples that inhabit or have traditionally inhabited the borderlands between the Russian Federation and two of its western neighbors, the republics of Estonia and Finland. The commonality between these minority groups – Setos, (Border) Karelians, and Skolt Sámi – is that, unlike the majority of Estonians and Finns, they are historically Orthodox Christian by religious affiliation. Furthermore, the living conditions of all groups have been drastically affected by Russo-Estonian and Russo-Finnish border changes over the course of the twentieth century. The two nations and three peoples this article is concerned with are all linguistically related. Finnish, Estonian, Karelian, and Seto are all Finno-Ugric languages of the Balto-Finnic branch. The Skolt Sámi language is also counted among the Finno-Ugric languages. The special status of the Sámi as an indigenous people is recognized in the Finnish constitution. Setos, however, declared themselves a people distinct from Estonians only as late as 2000. Russia acknowledges Setos as a separate minority people, but Estonia has not granted them this status. Also Karelians have a similar status in Russia; in Finland they have not sought such recognition. In both Finland and Estonia, neighboring peoples speaking kindred languages have been considered ‘kinsfolk.’ In fact, Finns have traditionally regarded Karelian as a form of Finnish, whereas Estonians have viewed the Seto language as a variation of the South-Estonian dialect. Especially during the Finnish and Estonian nation-building processes, scholars showed great interest in Karelian and Seto culture and folklore. Geopolitically, the territories inhabited by these groups have been considered organic extensions of the territories of Finland and Estonia. All in all, for historical and political reasons, concepts such as ethnicity and nationality are politically loaded for all three minorities. In this article, we strive to refer to the groups with the terms that they use to describe themselves. We speak of both Setos and Skolt Sámi as peoples. For Karelians, however, we prefer to use the term ethnic group. Most Finnish Karelians today do not consider themselves representatives of a distinct people, but rather a specific subgroup or ‘tribe’ of the Finnish people. In the wake of past upheavals, Europe has experienced an expansion and intensification of commemorative culture. Also minority and marginalized communities have begun documenting and collectively processing their histories by various material, narrative, ritual, and performative means, often challenging dominant interpretations of the past. Many of these manifestations of memory have also caught the eye of the scientific community. In Finland, for example, scholars have done extensive research on various commemorative practices adopted by displaced Karelians after the Second World War. However, the experiences and practices of many smaller groups, such as Setos and Skolt Sámi, have yet to receive similar attention. In this article, we focus specifically on the coping, healing, and commemorative aspects of religious rituals, discussing three annual religious feasts that also have significance as expressions of ethnic culture. They are the feast of the Dormition of the Mother of God of the Pskovo-Pechersky Monastery, the Saarivaara Chapel temple feast in North Karelia, and the pilgrimage of Saint Tryphon in Finnish Lapland. All take the form of Orthodox Christian processions or pilgrimages and are situated in symbolically significant landscape in the historical home area of one of the above-mentioned groups. The rituals, that is to say, are ‘used’ for crossing national borders, for visiting old home areas, and for cherishing ancestral culture. procession, furthermore, is not fully identical with a pilgrimage. It is a religious service moving from one place to another. The cross, church banners, icons, prayers, and songs are brought outside the church – often just to go around it, but sometimes also to a graveyard, to a lake or river for the sanctification of water, or even further away to another church or chapel. Thus, a procession brings the sacred or the holy to a certain place, whereas in a pilgrimage one visits a holy place. Obviously, walking in a procession can be a part of a pilgrimage. The boundary between the two is not clear-cut. Contemporary Orthodox Christian pilgrimage has been a marginalized topic in Anglophone academic discussions on Christian pilgrimage. The existing English-language scholarship, moreover, focuses mostly on Orthodox majority societies such as the Greek and Russian ones. This article provides a rare perspective on Orthodox pilgrimage in minority contexts. There has been no previous academic engagement with the specific feasts and practices that are our focus. At the same time, these feasts and practices reflect and represent the wider heritage of Russian Orthodoxy. Thus, of all the existing research on contemporary Orthodox pilgrimage, the most pertinent to this article are Stella Rock’s studies on processions in present-day Russia. These processions, revived after the fall of Communism, build on the same Imperial-era traditions discussed here. According to Rock, struggles over history and memory – over continuities, ruptures, and the interpretation of traumatic events – are part of the present-day Russian pilgrimage scene. In the case studies analyzed here, the issue of migration is added to the mix. We are interested in how the Orthodox religion, through the processions and pilgrimages that are our focus, functions as a coping mechanism for the loss of homeland and other traumas related to changing national borders. What kinds of commemorative elements and manifestations of national and ethnic identity do the rituals incorporate? The issues of loss and trauma are present in all our case studies. The three religious feasts express hardships related to (forced) migration and minority identity in concrete and visible ways. Yet, the overall marginality of these traditions in Finland and Estonia has meant that, heretofore, not much scholarly interest has been shown in these events as expressions of ethno-religious identity. The article relies first and foremost on research material gathered through participant observation of the three religious feasts under discussion. It is a collaborative effort of three scholars who have each held primary responsibility for one case study. Andreas Kalkun writes about Setos, Helena Kupari about Karelians, and Elina Vuola about Skolt Sámi. We also conducted fieldwork together. Kalkun has participated in the feast of the Dormition of the Mother of God at the Pskovo-Pechersky Monastery each year for the past decade and the research team attended the event together in 2016. Kupari and Vuola participated in the North Karelian processions described here in 2015 and 2017. Moreover, Kupari also circulated a semi-structured e-mail questionnaire to participants in the 2017 feast, receiving fifteen replies. Finally, Vuola has done fieldwork at the pilgrimage of Saint Tryphon of Pechenga in 2013 and 2017. On the latter occasion, the rest of the research team accompanied her. The authors conducted semi-structured interviews among all three groups. Kalkun interviewed thirty Seto women in 2014 and 2016, Kupari twenty-four Finnish Karelian Orthodox women in 2007 and 2008, and Vuola nineteen Skolt Sámi women in 2013. 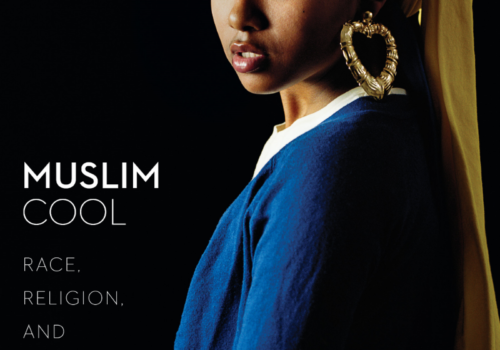 These interviews focused, in different ways, on the intersections between religion, ethnicity, and gender in the beliefs and practices of members of these minorities. In the present study, the interviews are considered mainly supplementary to the fieldwork material, providing an additional, in-depth perspective on the peoples under investigation. Yet another source of auxiliary data is archive material. This includes Seto folklore, recorded mainly during the 1920s and 1930s and stored in the Estonian Folklore Archives, and back volumes of Aamun Koitto magazine, historically the most important print media of the Finnish Orthodox community. Because of the limited space available to present three different cases, the article is a description and preliminary analysis of phenomena that have not been studied before. It functions as a basis and starting point for more in-depth research in the future. That will include theoretical discussions with relevant areas of research, such as pilgrimage studies, indigenous studies, ritual studies, and lived religion in Orthodoxy. The republics of Finland and Estonia are situated in northern Europe, on opposite sides of the Gulf of Finland. Finland is counted among the Nordic countries and Estonia among the Baltic countries. Both are members of the European Union. The population of Finland is around 5.5 million and that of Estonia 1.3 million. The histories of the two nations show similarity as well as difference. In the seventeenth century, Finland and Estonia were part of the Kingdom of Sweden. In the following centuries, Sweden lost these areas to the expanding Russian Empire. In the aftermath of the 1917 revolutions in Russia, both nations gained their independence. However, during the Second World War, their fates diverged. Estonia was occupied by both the Soviet Union and Germany over the course of the Second World War. Afterwards, it was annexed to the Soviet Union and regained its independence only in 1991. Finland, for its part, fought the Soviet Union in two separate wars, the latter in alliance with Germany. It retained its independence, but had to cede a significant part of its territory to the Soviet Union. The areas now known as Finland and Estonia began to be systematically Christianized around the twelfth and thirteenth centuries. Later, the Protestant Reformation was implemented by the Swedish Crown in Finland and by the Baltic-German ruling class in Estonia. At the time of their independence, both were firmly Lutheran-dominated countries. In Estonia, however, the position of the Lutheran Church crumbled during the decades following the Second World War. Thus, at the end of 2011, only ten percent of Estonians belonged to the Lutheran Church. Finland, meanwhile, has followed the Nordic ‘folk church’ model. While church membership has been dropping, at the end of 2016, seventy-two percent of Finns still belonged to the Lutheran Church. Eastern Orthodoxy has had a presence in the southeastern parts of today’s Finland and Estonia ever since they were first Christianized. During the period of Russian rule, the significance of the Orthodox Church increased due to the immigration of ethnic Russians. In Estonia, conversions from Lutheranism to Orthodoxy also increased the number of Orthodox faithful. However, it was independence from Russia that propelled the creation of a national Orthodox Church in both countries. The Finnish Orthodox Church separated from the Russian Orthodox Church and received autonomous status under the Patriarchate of Constantinople. A similar development took place in Estonia. Through the decades of Soviet rule, the Estonian Church functioned in exile. In Soviet Estonia, the Patriarchate of Moscow took over church functions. Since the fall of the Soviet Union, two Orthodox churches have existed side-by-side: one under the Patriarchate of Constantinople and the other under the Patriarchate of Moscow. At the end of 2016, one percent of the population of Finland belonged to the Orthodox Church. This amounts to approximately 60,000 people. The Estonian numbers, from the end of 2011, are higher. At that time, 16 percent of Estonians were affiliated with Orthodox Christianity, amounting to approximately 180,000 people. However, over two-thirds of these belonged to the sizable Russian minority that resides in Estonia as an aftereffect of the Soviet period. The area around and to the north of Lake Ladoga is known as Karelia. It has been divided between Sweden/Finland and Novgorod/Russia since the fourteenth century. Karelians were Christianized as the result of missionary efforts of Novgorodian origin. However, over the centuries Western Christianity became dominant in those parts of Karelia that were subjected to Swedish rule. 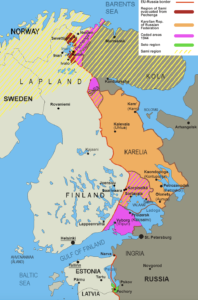 In independent Finland, the Orthodox heartlands of Karelia were located north of Lake Ladoga, known as Border Karelia. 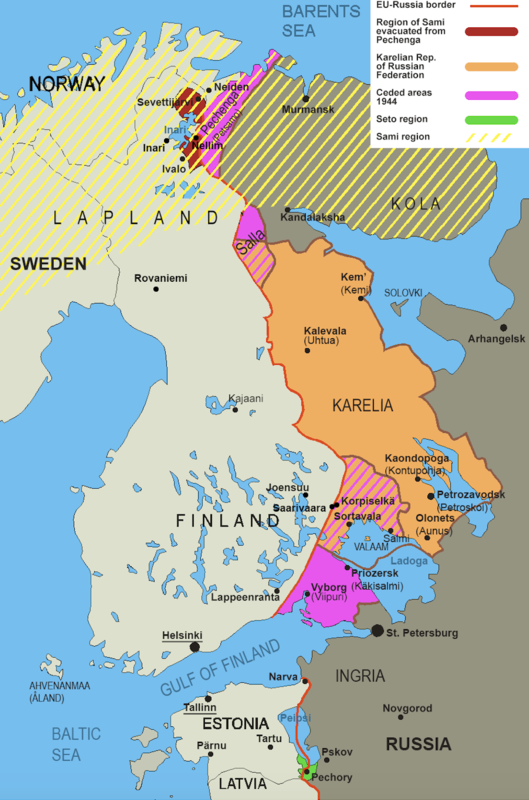 In the Second World War, Finland lost most of its Karelian territories to the Soviet Union. Over 400,000 Finnish Karelians became internally displaced people. About 55,000 of them were Orthodox Christians: two-thirds of the Finnish Orthodox population. The Finnish evacuees of the Second World War included five hundred Skolt Sámi (sä´mmlaž in Skolt) from Pechenga. The Sámi are an indigenous people that have historically inhabited northern Scandinavia and the Kola Peninsula. They are divided into several tribes. The home area of the Skolt Sámi, which includes Pechenga, is situated in the northwestern Kola Peninsula. The Skolts are traditionally Orthodox Christians by religion, Christianized in the sixteenth century by Russian monks. While the Finnish authorities do not compile statistics on Karelians as an ethnic group, it can be safely stated that at least half of the members of the Finnish Orthodox Church continue to have some Karelian ancestry. The Skolt Sámi, however, are a small minority both within the Orthodox Church and among the Sámi. Today, they make up about six hundred of Finland’s ten thousand Sámi. Altogether, it is estimated that there are about one thousand Skolts, the rest of whom live in Russia and Norway. Of the Finnish Skolts, only a little more than half speak Skolt Sámi as their mother tongue. The traditional home area of the Seto people is to the south of Lake Peipsi, which presently forms part of the border between Estonia and Russia. Setos have been under the influence of Eastern Christianity since the early centuries of the second millennium. In 1920, when the borders of the newly founded Republic of Estonia were established, the Seto region became part of Estonia. In the 1990s, however, the Russo-Estonian border was drawn differently. The Seto region was divided, which meant that people were no longer able to travel freely between its eastern and western parts. In the 2011 census in Estonia, people could not mark their ethnicity as Seto. However, the census listed Seto as a language option, and altogether 12,500 of the respondents declared an ability to speak the Seto language. Moreover, over two-thirds of them resided outside the Seto region, which shows the dispersion of Setos far and wide in Estonia. The Pskovo-Pechersky Monastery, founded in the fifteenth century and situated in the middle of the Seto region, has historically been an important religious center for the Seto people. The Pskovo-Pechersky Monastery is dedicated to the Dormition of the Mother of God, which is considered the most important of many great feasts dedicated to the Mother of God in the Orthodox calendar. In earlier times, the monastery held the title to much of the land of the region, which made many Seto peasants economically reliant on it. In addition, the monastery owned other Seto churches and chapels. Regular processions helped to maintain contacts between the central monastery and churches and chapels situated on the periphery. These pilgrimages had a significant impact on Seto peasants’ religiosity, structuring the yearly cycle of their lives. The monastery also features prominently in Seto folklore, which testifies to its overall significance to the people. For instance, the Seto national epic (titled Peko) ends with the hero Peko, anointed King of the Setos by the Virgin Mary and Jesus Christ, being laid to rest in the caves beneath the monastery. During the interwar period, the Pskovo-Pechersky Monastery was located on Estonian territory. Thus, it was spared from the mass destruction of churches and monasteries carried out in Russia during that time. The monastery remained functional even after the Soviet Union occupied and annexed Estonia – a fact that many count among the numerous miracles associated with the monastery. Already when the Republic of Estonia was first formed, some of the procession routes were cut, and the Soviet period further marginalized the tradition of processions travelling from one village to another. The processions became shorter and were held less frequently. Participation in them could result in sanctions for people of working age. 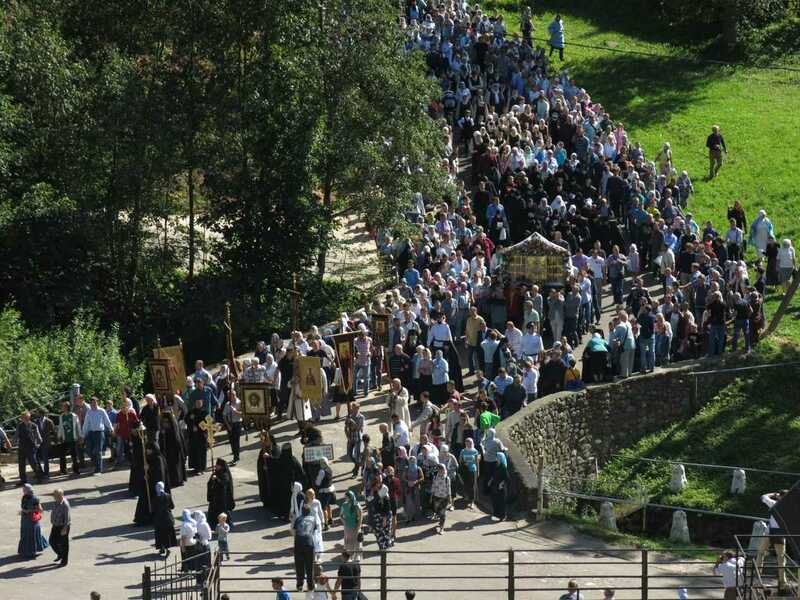 For a time, even the most important of all the processions, held on the feast of the Dormition of the Mother of God with the miraculous Uspenie icon, was forbidden outside the walls of the monastery. Theologically, the Dormition of the Mother of God emphasizes the humanity of the Mother of God, her experience of true death, and her miraculous ascension to heaven. According to popular Seto legends, the Mother of God chose the site for the Pskovo-Pechersky Monastery and was also active there during its early days. The monastery’s partially subterranean Church of the Dormition of the Mother of God is thought to have miraculously appeared there and not to have been built by human hands. It is noteworthy that for Setos, the fact that this holy place is located in their traditional habitat also signifies that they are a people specially chosen and loved by the Mother of God. After Estonia became part of the Soviet Union, Setos residing in the Seto areas of the Pskov Oblast started to resettle in Estonian towns. They left mainly for economic reasons, but also because Russian had become the dominant language in working and daily life. In the 1990s, when the border between the Republic of Estonia and the Russian Federation divided the Seto region in half, the Pskovo-Pechersky Monastery remained on Russian territory. Since that time, the procession of the Dormition of the Mother of God has become an important event for Setos living in Estonia. It symbolically joins together the Setos living on different sides of the border. When comparing archival accounts with contemporary data, Andreas Kalkun came across interesting shifts in how the Dormition feast and procession are interpreted. One such change concerns the significance of the event as communal activity. In the archive material, people who participated in processions organized by the monastery around the turn of the twentieth century describe their experiences from a personal perspective. Commonly, people took part in the processions to resolve health, agricultural, or livestock issues, but could also do so to fulfill an oath sworn to God. While it was possible to join the procession with friends or family members, the accounts collected usually present personal and intimate tales about participation, including healing experiences and miraculous happenings. For example, an informant called Nati Morel describes her experiences in the excerpt below. Her narrative includes many motives common to procession accounts, such as the physical exertion involved and the wondrous dimensions of the procession that were invisible to outsiders. Nowadays people don’t have any strength to walk – can’t bear to walk even a short stretch. During the procession one’s legs never hurt. You follow the cross, carry the icon, and don’t even want to eat or feel tired. Feet never get tired on the road of Saint Mary. We were told that it doesn’t matter where you walk, seven kilometers back or forth, that you wouldn’t experience walking in the footsteps of Saint Mary anyway. Seven kilometers above the procession heaven is open and angels sing. But not all can hear. Setos have bad horses, but never have I heard of them getting tired during a procession. They came home dancing. It was very good for their health. I had an old acquaintance in Napi village, an old maid. She said that if you ride a horse then the horse’s footprints will remain in heaven, but if we manage to walk ourselves, dear daughter, then our own footprints will be there. We helped her walk since she said she wanted to go on foot. This personal level of the physical and the miraculous is surely present also in contemporary processions. For example, while the Dormition procession is attended by thousands of people, some of Kalkun’s informants spoke of their participation as an intimate visit to the Mother of God. Nevertheless, compared to a century ago, the procession has acquired new collective, national, and political meanings. For many Setos living in Estonia, the area surrounding Pechory is associated with narratives of the tragic loss of homeland. When Setos migrated to Estonia, they left behind villages, churches, and graveyards that are still a source of various traumas. For instance, Setos consider the traditional commemoration of deceased relatives through maintaining graves and conducting ritual meals at gravesites a highly valued religious practice. In Orthodox piety, commemorating the dead is generally very important, but in the case of Setos, this special concentration on commemorating ancestors and rituals connected to the graveyard (memorial feasts, laments) probably reflects pre-Christian traditions as well. However, to visit Pechory and its environs, Setos residing in Estonia now require a visa. Many people have difficulty obtaining it, due to financial constraints and the bureaucracy involved. Every year since 2007, Seto organizations have managed to secure free visas for three to five hundred Setos for the purpose of participating in the Dormition feast. Excursions to Seto villages and graveyards are also organized, so that migrants can briefly visit their old homes and other places of importance. These excursions have immense significance for Estonian Setos. Especially during the first years of the free visa policy, they aroused a variety of strong emotions in participants. Eusebius, The Metropolitan of Pskov and Porkhov meets with Seto representatives in the Pskovo-Pechersky Monastery to hand over gifts. August 2017. (c) Meri-Anna Hintsala. After the religious program of the Dormition feast has been concluded, a folklore festival called the ‘Gathering of Families’ takes place near Pechory, organized by Setos from both Russia and Estonia. Alongside the excursions, it has become an important event in contemporary Seto culture. Even so, it has also aroused negative reactions among some Estonian participants. In earlier times, these critics point out, it was customary to hold parties among friends and family on the day of the feast, with eating, drinking, singing, and dancing. Now, these informal gatherings have been replaced by a festival where migrant Setos have to perform on stage for complete strangers. In conversations with individuals responsible for putting together the festival, Kalkun found that the organizers listened to this critique. They strove to turn the festival more into a spontaneous village feast where people can feel at home. This goes to show that members of minority groups are most comfortable with and empowered by evocations of their customs and culture that feel ‘organic’ to them, not artificial or forced. As the most important annual feast of the Pskovo-Pechersky Monastery, the Dormition feast has always been important for religious Setos. Nowadays, however, the feast is also significant for Setos from an identity political perspective. Whereas a century ago the villages surrounding the monastery were Seto-speaking and the processions were attended by so many Setos that it was impossible not to notice them, today the situation is different. The Estonian school in Pechory was closed in the 1990s. The Seto community, overall, has been relegated to the status of a small minority. Russian tourists and pilgrims are more likely to spot Setos in the photograph displays in the local museum than on the streets. In the Dormition procession, Setos – who consider the monastery and the procession ‘theirs’ – blend into the crowd of thousands of people who come from all over Russia to take part. The changes made in the past decade have made Setos more noticeable in the Dormition of the Mother of God feast. The free visa policy brings hundreds of Setos residing in Estonia to the procession, to add to the Setos that currently live in the Pechory region. The fact that Setos are once again visually present in the procession, showing their numbers and their unity, is an important matter of identity politics for this minority people. In Setos’ interpretations of the Dormition feast, indigenous adaptations of Orthodoxy continue to blend with more widespread notions and traditions. Furthermore, the feast creates an illusion of ‘the good old times’ for many Setos, evoking memories of a time when Setos wore traditional clothes and had not yet left their homeland for political and economic reasons. In addition to the feast, the procession, and the ‘Gathering of Families’ festival, excursions to the monastery, to other (former) Seto churches, and to old Seto graveyards are an essential part of this pilgrimage. Many Setos residing in Estonia use the free visa opportunity to visit their ancestral home areas and, most importantly, to take care of their forbears’ graves. Graveyards, moreover, are also sites for more collective practices. The excursions include commemorative rituals conducted in front of graves and memorials of select Seto cultural heroes, mostly women tradition bearers, key informants of the scholars who recorded Seto folklore in decades past. 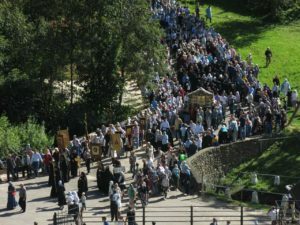 Overall, Estonian Setos’ annual pilgrimage to their lost homeland to participate in the Dormition procession is a complex phenomenon where personal piety, national identity, and geopolitics merge into one whole. The most recent border changes between Russian Federation and the Republic of Finland were ratified seventy years ago. This is three times longer ago than in the Estonian case. The Finnish Karelian evacuees of the Second World War have had time to fully integrate into their new home areas. Through the past seven decades, the culture of remembering ceded Karelia has been constantly evolving, depending on social and political tides and the needs and imaginings of different generations. As noted above, extensive research has been conducted on the experiences, identities, coping strategies, and commemorative practices of displaced Karelians. Nevertheless, one theme that has yet to receive sufficient scholarly coverage is religion as a means of dealing with the loss of homeland. In the case of most evacuees, after all, the specifically religious reverberations of displacement were minor. Almost ninety percent of all evacuated Karelians shared the religious affiliation of the overwhelming majority of all Finns. Among Orthodox evacuees, however, the situation was different. During the decades immediately after the Second World War, the Finnish Orthodox community struggled. In the evacuees’ new home areas, Karelian culture and the Orthodox faith were treated with suspicion, as something ‘Russian.’ By the 1960s, however, the post-war survival mentality was slowly giving way. Finnish society was becoming more tolerant of difference, which reflected positively on the status of Orthodox Christianity. The Orthodox community soon moved to claim the space that had opened up in the public sphere. One way in which they did this was by rekindling the tradition of temple feasts. Feasts held on the memorial day of the patron saint of the village church or chapel were important events in prewar Finnish Orthodox Karelia. After new churches and chapels had been built to serve Orthodox faithful in their new home areas, their celebration became possible once more. Particularly in North Karelia – the region surrounding Joensuu and adjacent to ceded Border Karelia – temple feasts grew to include secular, ethnically inspired programs. In the summer of 1979, the igumen of the New Valaam Monastery (established to replace the original Valaam Monastery situated on an island in Lake Ladoga) wrote an article in Aamun Koitto magazine informing readers that the monastery was organizing a procession in the environs of New Valaam. The procession was meant to cherish the prewar tradition of processions travelling between the churches of the monastery island. Starting the very next year, other institutions began organizing similar long-distance processions. They lasted between one day and two weeks, proceeding from chapel to chapel in the North Karelian countryside. The processions were usually connected to temple feasts, the chapel being celebrated functioning as either the starting point or end point of the journey. In the early 1980s, cross-country processions were not a familiar activity to the Finnish Orthodox. Processions to a nearby body of water to sanctify it had been standard practice in prewar Border Karelia. They were conducted also in post-war North Karelia – although in many parishes the custom had been suspended during the early decades following the displacement, due to the suspicions of the majority population. However, processions travelling from one chapel and village to another had not been organized in prewar Border Karelia, at least not to the same extent as in the Seto region. Instead of participating in processions, Border Karelians went on pilgrimages to monasteries, motivated by concerns similar to those of the Seto informants in the archive material. Thus, the organizers of present-day events in North Karelia have actually named processions conducted around the Pskovo-Pechersky Monastery as their main source of inspiration, not any Border Karelian tradition. The specific processions Helena Kupari studied center on the temple feast of the Saarivaara Chapel. The village of Saarivaara, in addition to three other nearby villages, was part of the prewar Border Karelian municipality of Korpiselkä. In fact, these villages are the only slice of Border Karelia remaining on the Finnish side of the border. Ever since the Second World War, they have therefore held special symbolic significance. Saarivaara Chapel was constructed in 1976 to function as a reminder of the religious traditions of Korpiselkä. From the beginning of the 1980s, a long-distance procession has been connected to the Saarivaara temple feast, the Transfiguration of Christ. In the first years of the practice, the cultural geography of the area figured prominently in the program. In 1981, for example, the temple feast acted as the starting point of a ten-day procession, which included a two-day course on ‘Karelian traditions’ in the neighboring village of Hoilola. Many of the participants were young people from different parts of the country. Locals helped organize and participated in activities that took place around their village, but did not necessarily travel with the procession. Today, however, the Saarivaara procession caters first and foremost for people with a connection to the area. In the twenty-first century, the event has followed a fixed form, collectively agreed on by Father Vesa Takala, the main organizer behind most North Karelian long-distance processions, and local lay participants. On the eve of the feast, there is a vigil at the chapel and a get-together at the local youth association. The temple feast itself begins with a liturgy, the sanctification of water, and the blessing of fruit. Afterwards follows the procession. It travels first on foot for about ten kilometers from Saarivaara to Hoilola, and then by boat to an old forest graveyard about five kilometers away, where a panikhida (memorial service for the departed) is celebrated. In 2015 and 2017, there were around forty participants in the temple feast and around thirty in the procession. The atmosphere was intimate and warm, as most participants knew each other well. While the composition of the people participating in the procession has shifted, its ethnic significance has not diminished. Ethnic symbolism is visible, for example, in participants’ clothing and the food served. The neoromantic chapel and the forest graveyard, where a traditional wooden memorial hut (grobu in Finnish) has been erected on the grave of one deceased who had frequently participated in the procession, are important visual markers connected to Karelian Orthodoxy. Both in 2015 and 2017, the get-together program included ethnically inspired numbers such as community singing in the Karelian language. 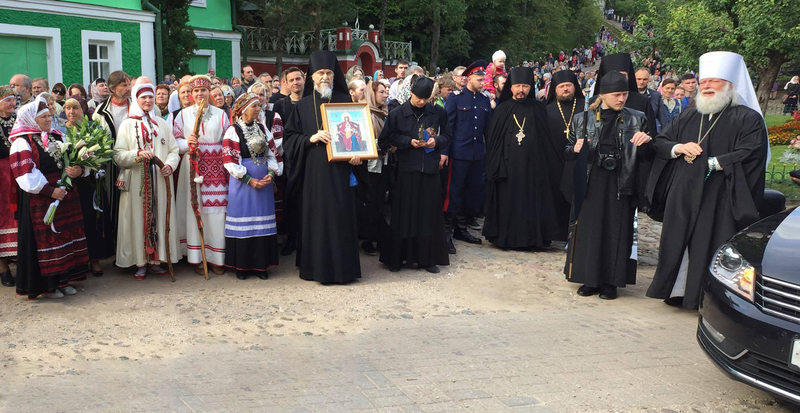 In addition, during the procession a prayer service was addressed to the ‘enlighteners of Karelia,’ canonized saints who lived and worked in the area. After the fall of the Soviet Union, travel across the Russo-Finnish border became easier. For the first time in almost fifty years, displaced Karelians were able to visit their old home areas. 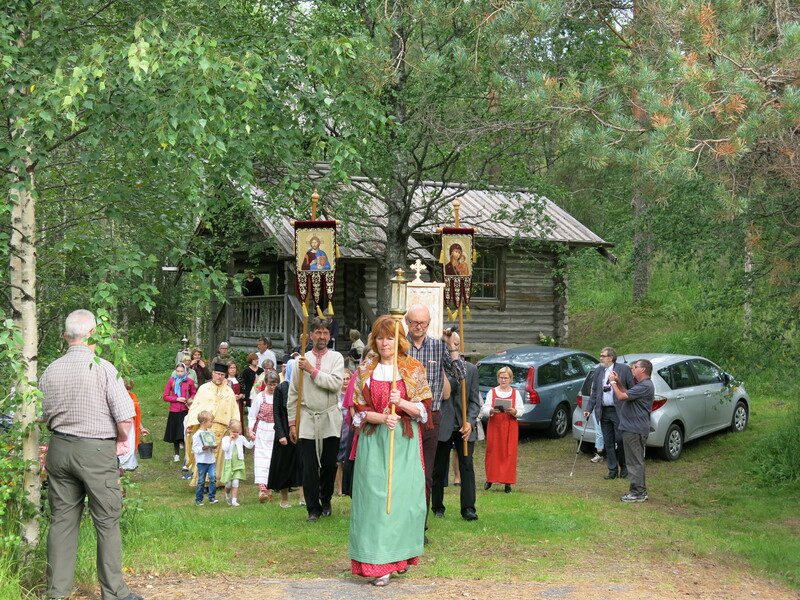 Ever since the 1990s, the Orthodox Church has also conducted processions to Russian Karelia. One of these processions takes place annually the day following the Saarivaara temple feast. It starts from a border crossing close to Hoilola and travels a short distance through the old municipal center of Korpiselkä to a forest graveyard, where two memorial services are held: one on the Orthodox and the other on the Lutheran side. A third service is held on the grounds of the Korpiselkä church, still partly erect, in front of a memorial for local (Finnish) soldiers fallen in the Second World War. In recent years, around seventy people have participated in this event. In the Korpiselkä procession, ethnicity is produced somewhat differently compared to the Saarivaara procession. There are no symbolic evocations of Karelianness in the form of food, vestments, or performances. The fact that the procession travels in actual ceded Karelia is enough to bring ethnicity to the fore. Furthermore, most people participate in the event based on a combination of religious motives and those related to family history and ethnic identity. The reason for this is that visiting Korpiselkä municipal center is extremely difficult. Like Estonians, Finns also need visas to travel to Russia. What is more, the municipal center is situated so close to the border that anyone travelling there must have a special permit and be accompanied by Russian border guards. The procession, however, provides an accepted form of entrance to the area. The participants are even exempted from the visa requirement. Thus, people with roots in the area attend the procession to visit their ancestral homeland, even if only briefly. Not all of them are members of the Orthodox Church, or even religious at all. Based on the e-mail questionnaire, many participants consider the rituals conducted at the graveyard and the memorial the most crucial and moving part of the event. Regular remembrances at the gravesite have traditionally been important in Karelian Orthodoxy. However, it was not only the Orthodox but also the Lutherans among the respondents who emphasized the value of the services. On the eve of the Second World War, around forty percent of the inhabitants of Korpiselkä belonged to the Lutheran Church, which accounts for the existence of the Lutheran graveyard and the participation of many Lutherans in the procession. As the graveyard is abandoned and in a ruined state, it is practically impossible to locate individual graves. This further increases the significance of a priest-led ritual in which the local deceased are collectively remembered and prayed for. A ritual for the departed at the Korpiselkä Orthodox graveyard. Most graves are unrecognizable. The Korpiselkä regional history society, established by displaced Karelians from the region, has erected a large cross to serve as a collective memorial for the dead. August 2017. (c) Elina Vuola. In addition to the graveyard, the destroyed village – where vegetation has run wild and stone foundations, with the exception of the church, are the all that remains of the prewar houses – is a concrete and poignant reminder of the passage of time. Many participants experience a particularly strong, negative reaction to the state of the church. One first time visitor, for instance, recounted, “[m]y parents were wed in that church and I went through quite a surge of emotion standing there on the crumbling steps. I felt so angry and upset.” Others who had taken part several times noted that their mood differs from procession to procession. While some trips are dominated by feelings of sadness and bitterness, at other times the overall experience is positive, even empowering. Generally speaking, most people who participate in the procession today do not have personal memories of prewar Karelia. They travel to ceded Karelia to enter into the experiences of their parents or grandparents: to have “a dialogue with history, the area, culture, tradition, and one’s roots,” as another respondent said. Orthodox Christian procession, explains Father Vesa Takala, is a “religious service on the move” in which the congregation can experience the beauty of nature as well as participate in consecrating it. The processions of Saarivaara and Korpiselkä take place in the borderlands of Finland and Russia. At present, the village of Saarivaara consists of ten inhabited houses while the village of Korpiselkä is abandoned. For a period of two days each year, the processions bring this remote area to the center of ritual action and attention. In a sense, the processions temporarily unite the historical municipality split by the border. They make the region whole again; even more, they make it holy. In their recent study of the same event, Teemu T. Mantsinen and Jere Kyyrö demonstrate how the processions – ritual totalities consisting of a myriad of detailed ritualized interactions between the clergy, different categories of lay people, material objects and the surrounding space – create a provisional and temporal sacred order that engulfs the natural world around them. Through their actions, the participants take hold of and give meaning to the places they visit and the landscape they move across. One more goal that they achieve in the process is that of making the presence of the Orthodox community known and visible in North Karelia. Over the course of the past four decades, long-distance processions have become one central trademark of the Orthodox Church in the area. Through these services on the move, displaced Orthodox Karelians have not only eased their longing for Border Karelia but also established their presence in today’s North Karelia. After Finland ceded Pechenga to the Soviet Union, the Finnish Skolt Sámi were resettled in three villages situated on different sides of Lake Inari. The Skolts lost access to their ancestral fishing and hunting grounds, which resulted in the disintegration of their traditional way of life. Their hardships did not end there. During the latter half of the twentieth century, Skolt Sámi culture suffered severely from Finnish national assimilation policies. 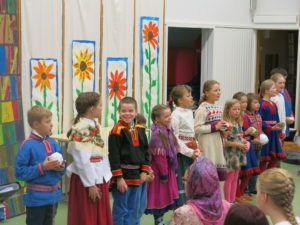 For instance, Skolt children were placed in boarding schools far away from Skolt villages in which speaking the Skolt Sámi language was prohibited. The second-generation displaced Skolts, born in the 1950s and 1960s, experienced these measures most harshly. They lost the ability to speak Skolt Sámi fluently and in the process learned to feel ashamed of their Skolt identity. Starting in the 1970s, the assimilation policies were gradually lifted. Over the course of the past few decades, intensive measures have been taken to revive the Skolt Sámi language, which is still severely endangered. Third-generation displaced Skolts, who are by and large more educated than their parents and grandparents, have been most active in the preservation and revitalization of Skolt culture. Skolt Sámi culture is intimately connected to the Orthodox faith. Eastern Christian influences set Skolts apart from other Scandinavian Sámi groups, a difference that has historically been a source of discrimination within the wider Sámi community. However, it has also facilitated the maintenance of a distinctive Skolt identity. 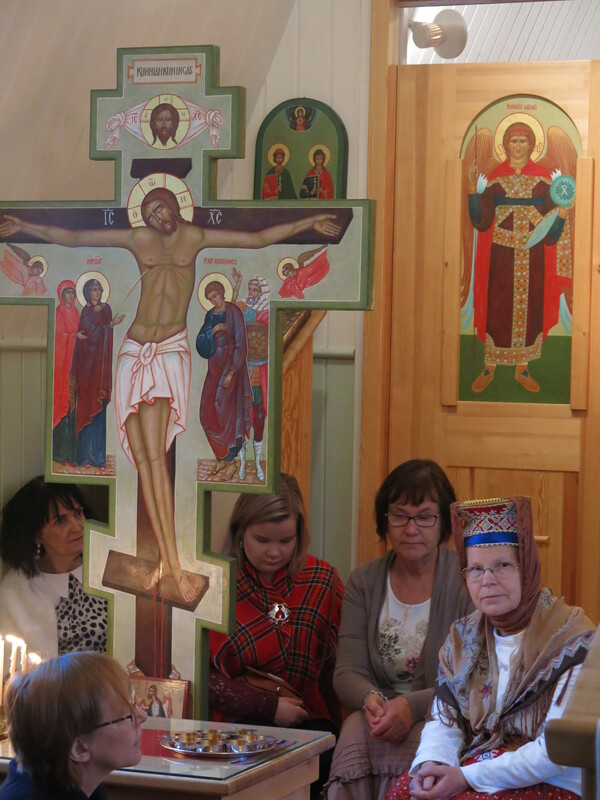 Elina Vuola’s interviews with Skolt women, like those conducted by Mira Rantakeisu in her recent study on Skolt Orthodoxy, show that the Orthodox Church and tradition are important for the Skolt Sámi. Both scholars noticed that positive interpretations of Orthodoxy are most accentuated among the older generations. For many older interviewees, it was difficult to separate religion and culture, for “to be Skolt Sámi is to be Orthodox.” Among the younger generations, there is more variation. The more general trends of secularization and detachment from religious institutions are noticeable also in the Skolt community. However, even those Skolts who are not religiously active and are critical towards or feel distanced from the Church do not usually leave it altogether. As one younger informant stated, “Orthodoxy is the glue that holds the Skolt culture together.” The Skolt Sámi have been Orthodox for longer than the rest of the Scandinavian Sámi have been Lutheran. Saint Tryphon of Pechenga (Pââˊss Treeffan in Skolt, 1495–1583) preached the Orthodox religion to the Skolt Sámi in the sixteenth century and founded the Pechenga Monastery. He is considered the patron saint of the Skolts. The Skolts’ deep reverence for Saint Tryphon is evident, for example, in the presence of his icons in Skolt homes, churches, and chapels. Several of the latter have also been dedicated to him. In addition, folk narratives about Saint Tryphon’s life are popular among Skolts even today. They are not miracle narratives, but rather folktales related to Saint Tryphon. One of the most common of these – that Vuola heard several times during her fieldwork – is the tale of Tryphon and the bear: on entering his cell in the wilderness, Saint Tryphon noticed that his porridge had been eaten. He found out that it was a bear, whom he grabbed by the ears as a reprimand. This is why the bear has such short, round ears. 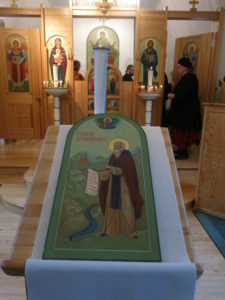 In the small Orthodox Church of Ivalo in Lapland, there is even an icon depicting this event. Starting in 1965, a pilgrimage in honor of Saint Tryphon is organized every mid-August in northeastern Finnish and Norwegian Lapland. It is the single most important event that brings the Skolt Sámi together annually. The Skolt Sámi live between borders in several ways. First, the Skolts are dispersed over three nation-states: Finland, Norway, and Russia. Second, since the Sámi have indigenous people status and some autonomy in matters of governance (especially in the Nordic countries), there is an invisible border between the Sápmi, the Sámi homeland area, and the rest of Finland, Sweden, Norway, and Russia. Third, the Finnish Skolt Sámi also have a degree of internal autonomy. Thus, there is also an invisible border between the Skolt Sámi region of Sevettijärvi and the rest of the Sápmi. As noted above, the Skolt Sámi are a small linguistic and religious group within the Sámi: a minority within minority. The pilgrimage of Saint Tryphon embodies and crosses all these borders. It literally moves in different parts of the Sápmi as well as crossing the national border between Finland and Norway. It is noteworthy that representatives from other Sámi groups are not present at the pilgrimage. Most other Sámi events attract participants from all the Sámi groups of Finland (the Northern Sámi, the Inari Sámi, and the Skolt Sámi). In conversations with Northern Sámi residents of the Lake Inari area, Vuola noted that the other Sámi did not necessarily even know that the feast exists. Their ignorance is a reflection of the minority status of the Skolts among the Finnish Sámi, as well as their history of stigmatization as ‘Russians.’ Thus, in spite of its importance to the Skolts, the pilgrimage does not have a pan-Sámi element. Rather, it constitutes a pan-Orthodox gathering, bringing Orthodox faithful – Skolts, Finns, and Karelians – from different parts of the country in contact with each other. For Skolts living in the Skolt region, the dozens of pilgrims that come from elsewhere in Finland to their remote villages are a positive experience. During the feast, the participants also have the chance to visit an exhibition of Skolt handicraft and make purchases – a source of much-needed income for the local people. In 2013 and 2017, there were about one hundred participants in the pilgrimage. It is difficult to say how many of them were Skolt Sámi or had Skolt heritage, since traditional Skolt costumes are no longer used as frequently as before. Generally speaking, the pilgrimage used to draw much bigger crowds, which were fondly remembered by some of Vuola’s older informants. In decades past, Sevettijärvi Church was full of people who were dressed in Skolt costumes and spoke the language. Today, the generation that has lived through the evacuation and relocation is disappearing. Those who remain are often too old or weak to participate. Young people, too, are mostly absent from the pilgrimage. However, the only person dressed in a traditional Skolt Sámi costume throughout the 2017 pilgrimage was, in fact, a young woman. She stated that the event is of great importance to her, and that she wanted to express her feelings through her choice of clothing. As her account demonstrates, there are those among the younger Skolt Sámi who think that Orthodox rituals and traditions can positively impact the revival of the Skolt culture, language, and ethnic identity. Non-Skolts play a crucial role in the pilgrimage today as well. Many of the older Skolts who used to participate are too old now, while for younger Skolts the relationship to the Orthodox Church may be weaker. Orthodox people from elsewhere in Finland participate as they do in other pilgrimages in the country. The Orthodox parish of Lapland has consciously encouraged broader participation to give visibility to this important but small minority group in the church. The pilgrimage lasts between two and three days. It is conducted mostly by car, because the three Skolt Sámi villages (Nellim, Keväjärvi, and Sevettijärvi) are situated almost two hundred kilometers apart. The pilgrimage visits all the villages, thus helping to nurture contacts between and feelings of togetherness among the Skolts. It also extends to Neiden (Näätämö in Finnish) in Norwegian Sápmi, to the remnants of a historical Skolt village by the Näätämö River. The pilgrimage starts on Friday with prayer services in Keväjärvi and Nellim, on the southern shore of Lake Inari, followed by an evening program. 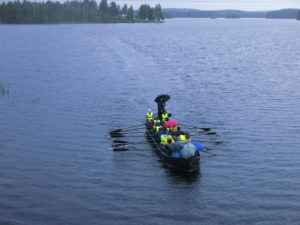 The next morning, pilgrims travel about 150 kilometers to Sevettijärvi, the largest of the villages and the center of contemporary Skolt Sámi culture. 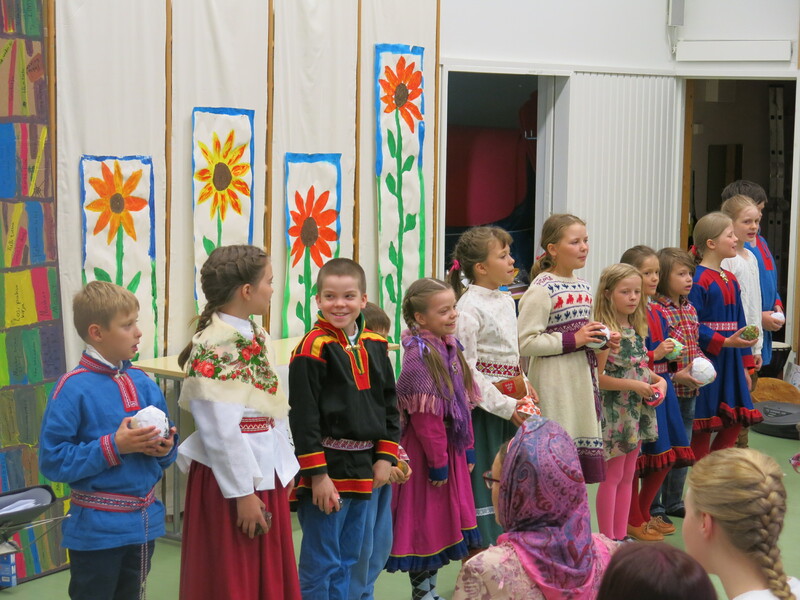 They attend a cultural event at Sevettijärvi School, the only school in Finland where the Skolt Sámi language is taught as part of the curriculum. In 2017, the pupils – about twenty children between the ages of seven and fifteen – had prepared a two-hour program for their guests, including the Metropolitan of Oulu. Besides performing traditional songs and dances, the pupils also showed the pilgrims a short film that they had made. Tradition and modernity, locality and globalization, merged in their Skolt-language adaptation of Star Wars. The pilgrimage includes several religious services. During the 2017 event, the services featured some new chants, written by the local priest and cantor, which explicitly address the significance of Saint Tryphon for Skolts. Several Skolt participants commented on them positively. Prayers that ask for intercessions and blessings on behalf of the Skolt people give voice and institutional acknowledgment to their lived experience. Moreover, the chants also narrate Skolt history, including their displacement from Pechenga. The addition of the newly written ektenia (series of petitions) and troparion (hymn) intensifies the commemorative aspects of the services. The pilgrimage, overall, is not just any Orthodox feast, but has the very specific function of honoring the tragedies that have befallen the Skolt Sámi people, and offering solace and consolation to contemporary Skolts. This fact is also impressed on the non-Skolt participants by the explicit connection that the verses create between Saint Tryphon and the Skolt Sámi. The pilgrimage ends with a liturgy at Saint Tryphon’s Church in Sevettijärvi on Sunday morning. The service is the most solemn event in the pilgrimage, which is reflected also in participants’ clothing: people are more likely to dress in traditional Skolt costumes to partake in the Eucharist than when attending other rituals included in the pilgrimage. During the liturgy in 2017, the only Skolt Sámi Orthodox deacon in the world, Erkki Lumisalmi, intoned the ektenia in Skolt. The use of the Skolt language is, naturally, of paramount importance to the Skolt participants, even though they are all fluent in Finnish. While some liturgical and ecclesiastical texts have recently been translated into Skolt, there are no priests who could celebrate the entire liturgy in the language. Just like the feasts in North Karelia and the Pechory region, this pilgrimage also visits graveyards. After the liturgy on Sunday, people walk to the Sevettijärvi graveyard, either to pay their respects at relatives’ graves or just to take in the rather exceptional-looking cemetery, which has partly reverted to forest, the graves covered with thick layers of lichen, some with a grobu on top. The use of memorial huts among Skolts is one concrete example of Karelian influence on Skolt culture. In the interviews, Vuola’s interlocutors interpreted the purpose of the grobu in a variety of ways. Several interviewees described it as (among other things) the home of the spirit or soul of the deceased. This explanation is related to the tradition of bringing food to and eating ritual meals at graves that is part of Orthodox folk piety in many cultures, including the Karelians and Setos. One of the emotional high points of the pilgrimage takes place in Neiden on Saturday afternoon, in the vicinity of a small chapel dedicated to Saint George. This site contains both an old Skolt graveyard and a new mass grave. In 1915, the skeletons of ninety-four Skolt Sámi were exhumed from the Skolt graveyard for ‘scientific’ purposes. They were stored in the anatomical museum of the University of Oslo and returned only in 2011. At present, the bones rest in a mass grave close to the old graveyard, topped by an artificial mound and a grobu erected sometime between 2013 and 2017. In 2013, the mound was still bare. Thus, visitors who did not know its history could cross it without ever realizing where they were walking. Now, the site is clearly marked as a grave. As part of the pilgrimage, a panikhida is conducted on top of the mound. It is likely that many of the Skolt participants have ancestors buried in the grave, which adds further significance and intensity to the ritual. As Kalkun and Kupari explained, visiting graveyards, remembering the dead, and the panikhida are central in all these three cases. The Orthodox understanding of remembering the dead and praying for them is in general different from Western Christianity. In the areas studied in this article, the Orthodox customs were built onto pre-Christian habits and practices. In the case of the Skolts, the mass grave in Neiden is not just any Orthodox graveyard but a visible sign of the ways they have been treated in the course of history. A museum of Skolt Sámi culture has recently been founded close to the graveyard, on the opposite shore of the Näätämö River. In connection with the erection of the museum, the ancient Skolt village, the chapel, and the graveyard have all been marked with signposts. The 2017 pilgrimage program included a visit to the museum, during which it was ritually blessed. The newly opened museum testifies to the growing recognition of the distinctive culture and history of the Skolt Sámi people on the part of the governments of Norway and Finland. Nevertheless, it does not erase the effects and memory of past atrocities. The Orthodox Church is the only institution that gives ritual expression and relief, not just to the tragedies of the evacuation and the loss of ancestral homeland and way of life, but also to the cumulative trauma that has resulted from the long history of institutional indifference and downright hostility toward the Skolt Sámi. The mass grave is a concrete reminder of how the rights of the Skolts have been violated by the peoples and nation-states that have claimed their lands as their own. The panikhida celebrated at the location therefore also has immense political and cultural significance, even though this is not necessarily explicitly articulated. Overall, the panikhida that collectively honors the stolen and newly recovered remains of deceased Skolts epitomizes the inherent potential that Orthodox rituals have to help the Skolt Sámi mourn and cope with the various losses that they have suffered over the course of time. The three case studies presented above have much in common. In many ways, the fate of Setos, Karelians, and the Skolt Sámi has historically lain in the hands of more populous and powerful peoples. All three groups have repeatedly had to adapt to changing political realities, as nation-states to the west, east, and south of their traditional home areas strove to extend their spheres of influence through contracts or by force. Over the course of the past century, changes in national borders have split the traditional territories of Setos, Karelians, and Skolts, cutting some of them off from their ancestral homelands. Finnish Karelians and Skolts became internally displaced people in the aftermath of the Second World War and went through an arduous process of resettlement. The migration of Setos was not the direct result of war, although it was made possible by the Soviet Union’s annexation of Estonia. Nevertheless, after Estonia regained its independence, the Russo-Estonian border separated Setos residing in Estonia from the traditional center of their culture. All three peoples have an intimate historical connection with the Eastern Orthodox faith. Among Estonians, Finns, and other Sámi, affiliation with the Orthodox Church has evoked suspicions of ‘Russianness.’ Estonians speaking about Setos employed the rhetoric of the noble savage and untouchable primal Estonian, and tried to present Seto culture and religious traditions as something outdated and backward. Orthodox Karelians and the Skolt Sámi were particularly harshly stigmatized as ‘Russians’ during the first decades after the Second World War. Otherwise, however, their post-war experiences differed significantly. Of the three groups under discussion, the discrimination of the Skolts has been the most severe. Their traditional culture and way of life have been the target of systematic and pervasive measures of assimilation. Only time will tell if the Skolt Sámi language will survive at all. Karelians, too, suffered massively during the evacuation and resettlement, but their situation improved faster. Displaced Karelians constituted over ten percent of Finland’s total population, which made them a political and cultural force to be reckoned with. Their problems thus received much more public attention and institutional recognition. Our analysis of the Dormition feast in Pechory, the Saarivaara Chapel temple feast, and Saint Tryphon’s pilgrimage demonstrates that the Orthodox religion continues to function as an important source of ethno-religious identity among Setos, Karelians, and Skolt Sámi. All three feasts take place in symbolically significant locations and help members of these minority groups reconcile the traumatic events of their past with the present-day situation. Saint Tryphon’s pilgrimage, conducted mostly by car, visits historical and present-day Skolt villages and their holy places, where religious rituals are celebrated. In the other two events, processions play a prominent role. 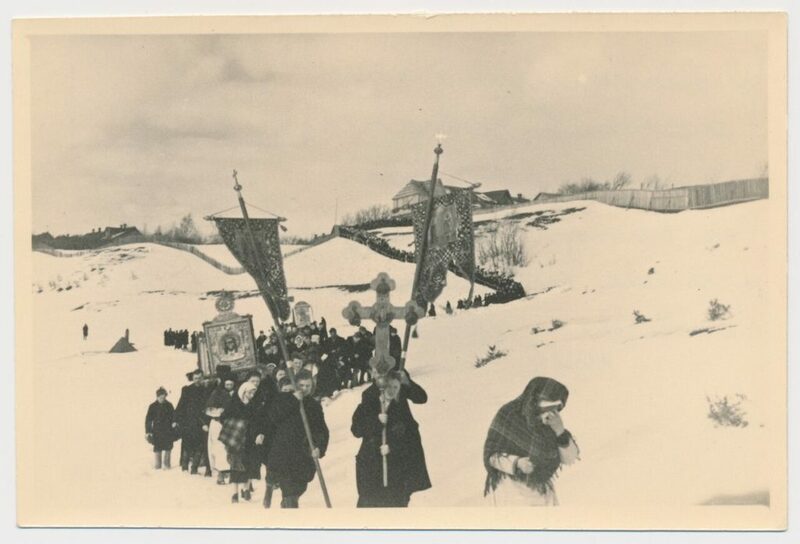 The culmination of the Pechory feast is a procession around the monastery walls, while in North Karelia processions constitute the main activity of the feast. Moreover, Kalkun also uses the term pilgrimage to describe Estonian Setos’ trips to participate in the Dormition feast as a whole. The same term has also been used of displaced Karelians’ visits to their old home areas. Historically, the Orthodox Churches have been relatively flexible in their approach towards indigenous customs, tolerating local cultural traits or absorbing them into institutional practices rather than trying to weed them all out. In Lapland, for instance, the policies adopted by the Lutheran Church when converting Sámi people to Christianity were much stricter. Furthermore, many Orthodox rituals – including temple feasts, memorial days of saints, and regular remembrances – focus on the local community, be it a village, a people, or a nation. 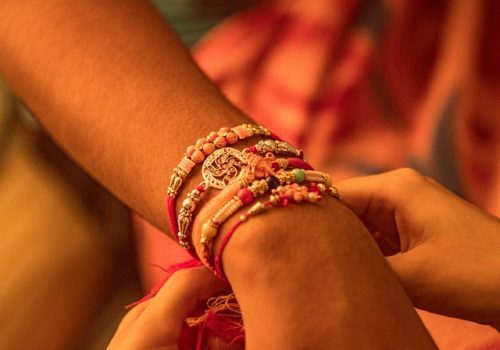 Thus, they can easily and ‘naturally’ take on ethnic flair and incorporate elements that commemorate critical events and turning points in the history of the community. For Border Karelians and Skolts, the significance of Orthodox Christianity as a carrier of not only religious but also ethnic identity became accentuated after the evacuation. While the Orthodox Church was hit hard by the war, it continued to function, relocating with displaced Orthodox Karelians and Skolts to their new home areas. In some ways, it was the one institution central to their everyday lives that survived the cessation of Karelia and Pechenga more or less intact. In the decades following the war, the Orthodox faith thus came to constitute a major link between the past and the present. For Setos living in Estonia, the Orthodox religion also forms an essential part of their identity as a people. In Soviet Estonia, the functioning of the Orthodox Church, while severely limited, was not completely banned. These circumstances supported the Setos’ holding on to their distinctive religiosity in a predominantly non-Orthodox society. In all three feasts that we have analyzed, national and ethnic identity is emphasized by concrete means. These include traditional clothes, food, objects, and customs, the use of the local language and colloquialisms, non-religious ethnically inspired program, as well as the presence of respected elders who have lived through and can remember past times. Through these markers, the groups assign special meanings to the rituals, asserting their identity. Ultimately, these practices are precisely what turns the feasts into manifestations of Seto, Karelian, or Skolt Sámi Orthodoxy. In the Seto case study, the task of ‘laying claim’ to the event is the most urgent, for the simple reason that Setos make up only a small minority of all the participants in the Dormition feast. In recent decades, Orthodox Christianity has once again come to be seen as one of the defining features of Russianness, which has increased the nationalistic overtones of religious events. Thus, contemporary Setos attending the Dormition feast are, in a sense, swimming against the tide. 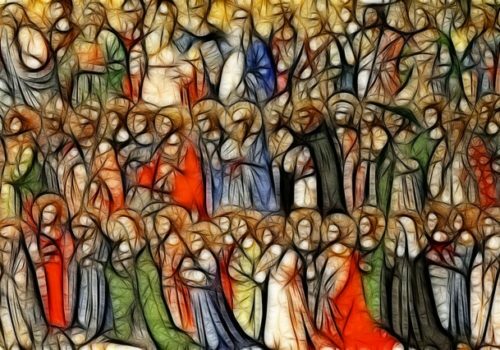 Nevertheless, although outsiders may not even discern Setos from amongst the thousands of pilgrims, for the Setos themselves their presence matters. Through measures such as wearing traditional Seto clothes they make the feast their own, evoking memories of a different time. Our case studies also emphasize the importance of official gestures of recognition for small minority groups that lack a national Orthodox church of their own. 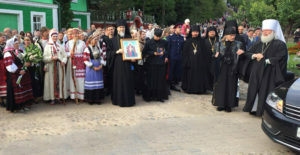 During the 2017 Dormition feast, the Metropolitan of Pskov and Porkhov publicly acknowledged the historical connection of the Seto people with the Pskovo-Pechersky Monastery. The Metropolitan of Oulu honored Saint Tryphon’s pilgrimage with his presence. Moreover, the religious services conducted during the pilgrimage included new chants that explicitly refer to the Skolt Sámi and their past sufferings. None of these incidents went unnoticed by the participants. Generally speaking, the need for such recognition is not as acute among Karelians, who have historically constituted the great majority of Finnish Orthodox Church members. Until the end of 2017, even the head of the church was titled ‘Archbishop of Karelia and all Finland.’ Nevertheless, the presence of the Orthodox Church as an institution in events that commemorate the loss of Karelia and the hardships of the evacuees is of great significance. Overall, in presenting this argument we do not want to understate the fact that the Orthodox Church has also been guilty of taking colonialist measures in its dealings with these groups. Nevertheless, most contemporary members of these minorities consider gestures of acknowledgement by the Church and its officials undeniably affirmative of the local culture. The processions and pilgrimages we have discussed here have, in some ways, a lot in common with contemporary Russian practices. Like their Seto, Karelian, and Skolt counterparts, present-day Russian pilgrims also struggle with the issues of ruptured traditions and painful histories. Furthermore, in relation to the broad question of how history, memory, and national mythologies are engaged in and through processions, our analysis highlights the significance of graveyards as ritual sites. All three feasts include visits to cemeteries located in the ancestral home areas of the people studied here. In our estimation, these visits constituted some of the emotional culmination points of the events. Ritual remembrance of the departed is important in Orthodox Christianity, which further intensifies the tragedy of having limited or no access to loved ones’ graves. Moreover, Orthodox rituals of remembering, which treat the living and the dead as members of the same community of the faithful, provide a concrete way of reinforcing the connection between past and present generations. They evoke the history of the group or people in question, and highlight the difficulties they have experienced. In our three case studies, remembrance of the deceased took slightly different forms. 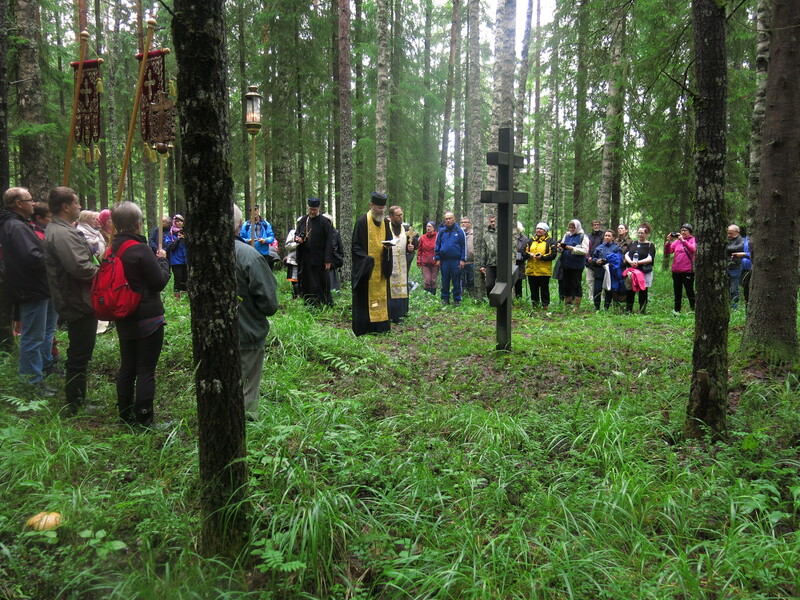 The program of Saint Tryphon’s pilgrimage and the North Karelian processions included priest-led, collective memorial services. The memorial services celebrated at the ruined graveyard and war memorial in Korpiselkä honored the lives of inhabitants of the municipality from the time when it was still part of Finland, and the sacrifice of Finnish soldiers who had fallen in the war that ultimately cost Finland the area. Thus, they had the effect of keeping alive the memory of Finnish (instead of Russian) Korpiselkä. The panikhida at the mass grave in Neiden mourned the violence that the Skolt Sámi have experienced from different nation-states. Setos’ visits to Pechory region graveyards, in contrast, were more focused on personal and private remembrance. People participated in the excursions to take care of and conduct rituals of remembering at specific relatives’ graves. One obvious reason for this difference is that, for Setos, much less time has passed since the Russian border was closed. 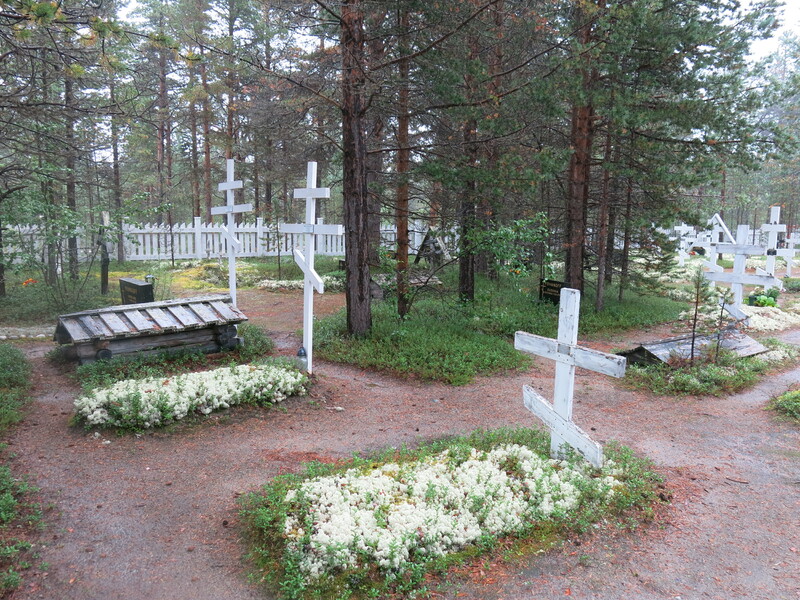 The Finnish Karelians that lie buried in the numerous graveyards of ceded Karelia have been dead for more than seventy years. Processions and pilgrimages move across space and nature, and take hold of the surrounding landscape. In North Karelia, processions travel in the Russo-Finnish border area and even cross over to present-day Russia, thus symbolically uniting the region split in half by the border. Saint Tryphon’s pilgrimage visits all three Skolt Sámi villages in present-day Finland, consecrating the Skolt region in the process. The Setos participating in the Dormition feast and procession lay claim to their ancestral homeland, which is now inhabited mostly by ethnic Russians. All three feasts can be seen to constitute rituals of healing that allow participants to cherish the culture and commemorate the hardships of their forbears. In the Karelian and Seto case, the feasts also provide access to areas that are otherwise very difficult to reach. They literally help people cross borders and visit their ancestral homelands. Feature Image: Setos taking part on a procession on the Friday after Resurrection. Pechory, 1940. Photo by Vilhelmine Säägi. Estonian Folklore Archives (ERA, photo 1728). All photographs included in the text herein are the property of Elina Vuola. No permission, either express or implied, is granted for the electronic transmission, storage, retrieval, or printing of the photographs. This article was written in the research project Embodied Religion. Changing Meanings of Body and Gender in Contemporary Forms of Religious Identity in Finland at the Faculty of Theology, University of Helsinki, funded by the Academy of Finland (2013-17). Also, Dr. Andreas Kalkun is Research Fellow at the Estonian Folklore Archives of the Estonian Literary Museum, Tartu, Estonia. The research is related to research project IUT 22-4. Gábor Bereczki, “The Uralic language family,” in The Finno-Ugric World, ed. György Nanovfszky (Budapest: Teleki László Foundation, 2004), 165–70. E.g., Anneli Sarhimaa, Vaietut ja vaiennetut: Karjalankieliset karjalaiset Suomessa (Helsinki: Suomalaisen Kirjallisuuden Seura, 2017); Kadri Koreinik and Karl Pajusalu, ”Language naming practices and linguistic identity in South-Eastern Estonia,” in Language and Identity in the Finno-Ugric World, eds. Cornelius Hasselblatt and Rogier Blokland (Maastricht: Shaker, 2007), 192−204. E.g., Outi Fingerroos, “The Karelia of Memories – Utopias of a Place,” Folklore 33 (2006): 95–108, doi:10.7592/FEJF2006.33.fingerroos; Kristiina Korjonen-Kuusipuro and Anna-Kaisa Kuusisto-Arponen, “Emotional Silences: The Rituals of Remembering the Finnish Karelia,” in Painful Pasts and Useful Memories: Remembering and Forgetting in Europe, eds. Barbara Törnquist-Plewa and Niklas Bernsand (Lund: Lund University, 2012), 109–26. However, see Jeffers Engelhardt, “The Acoustics and Geopolitics of Orthodox Practices in the Estonian-Russian Border Region,” in Eastern Christians in Anthropological Perspective, eds. Chris Hann and Hermann Goltz (Berkeley: University of California Press, 2010), 101–23; Jeffers Engelhardt, Singing the Right Way: Orthodox Christians and Secular Enchantment in Estonia (New York: Oxford University Press, 2015); Mira Rantakeisu, Cultivating a Sense of Belonging: The Orthodox Church as a Part of the Collective Memory of Skolt Sámi in Finland (MA thesis, University of Helsinki, 2015). A general presentation in English on the Skolt Sámi is, for example, Tero Mustonen and Kaisu Mustonen, Eastern Sámi Atlas (Vaasa: Snowchange.Org, 2013). Recent books on the Sámi, which include the Skolt Sámi, in English are Veli-Pekka Lehtola, The Sámi People: Traditions in Transition (Inari: Kustannus-Puntsi, 2010) and Jukka Pennanen and Klemetti Näkkäläjärvi, Siiddastallan: From Lapp Communities to Modern Sámi Life (Inari: The Inari Sámi Museum, 2002). Most of the scientific research on the Skolt Sámi has focused on language, culture, and history, not religion. Temple feasts are feasts held on the memorial day of the patron saint of a church or chapel. René Gothóni, Paradise within Reach: Monasticism and Pilgrimage on Mt Athos (Helsinki: Helsinki University, 1993), 120–1. Dionigi Albera and John Eade, “International Perspectives on Pilgrimage Studies: Putting the Anglophone Contribution in Its Place,” in International Perspectives on Pilgrimage Studies: Itineraries, Gaps and Obstacles, eds. Dionigi Albera and John Eade (New York: Routledge, 2015), 10. E.g., Mirel Bǎnicǎ, “Music, Ritual and Community among Romania’s Orthodox Pilgrimages,” Review of Ecumenical Studies 7 (2015): 460–5; Jill Dubisch, In a Different Place: Pilgrimage, Gender, and Politics at a Greek Island Shrine (Princeton: Princeton University Press, 1995); Gothóni, Paradise; Jeanne Kormina, “Avtobusniki: Russian Orthodox Pilgrims’ Longing for Authenticity,” in Eastern Christians in Anthropological Perspective, eds. Chris Hann and Hermann Goltz (Berkeley: University of California Press, 2010), 267–86; Inna Naletova, “Pilgrimages as Kenotic Communities beyond the Walls of the Church,” in Eastern Christians in Anthropological Perspective, eds. Chris Hann and Hermann Goltz (Berkeley: University of California Press, 2010), 240–66. Stella Rock, “Rebuilding the Chain: Tradition, Continuity and Processions of the Cross in Post-Soviet Russia,” in Orthodox Paradoxes: Heterogeneities and Complexities in Contemporary Russian Orthodoxy, ed. Katya Tolstaya (Leiden: Brill, 2014), 275–301; Stella Rock, “Touching the Holy: Orthodox Christian pilgrimage within Russia,” in International Perspectives on Pilgrimage Studies: Itineraries, Gaps and Obstacles, eds. Dionigi Albera and John Eade (New York: Routledge, 2015), 47–68. Statistics Finland, accessed August 15, 2017, http://www.stat.fi/tup/suoluk/suoluk_vaesto_en.html. Sebastian Rimestad, “Orthodox Churches in Estonia,” in Eastern Christianity and Politics in the Twenty-First Century, ed. Lucian N. Leustean (London: Routledge, 2014), 295–311. Teuvo Laitila, “History of the Finnish Orthodox Church in the 20th Century,” in A Short History of the Orthodox Church in Western Europe in the 20th Century, ed. Christine Chaillot (Paris: Inter-Orthodox Dialogue, 2006), 157–66. “Kolttasaamelaiset,” Saa´mi Nue´tt, accessed September 13, 2017, http://www.saaminuett.fi/kolttasaamelaiset.html. See Andreas Kalkun, “A Woman’s Voice in an Epic: Tracing Gendered Motifs in Anne Vabarna’s Peko,” Journal of Ethnology and Folkloristics, 2 (2008): 25−45. Estonian Folklore Archives, ERA II 286, 95/106 (77) < Setu Mokra vlg. – Ello Kirss < Nati Morel, b. 1853 (1940). See Andreas Kalkun and Elina Vuola, “The Embodied Mother of God and the Identities of Orthodox Women in Finland and Setoland,” Religion & Gender 7 (2017): 18–41. DOI: 10.18352/rg.10165. In reality, past processions did not differ from present ones by lacking worldly goals. Political, national, and religious motivations intertwined already in processions conducted in Imperial Russia. For example, one annual procession from Pechory to Pskov commemorated the miraculous lifting of the siege of Pskov in 1581, and another the liberation of Moscow during the Patriotic War of 1812. Moreover, many of the ‘ordinary’ processions that originated from the Pskovo-Pechersky Monastery and travelled through Seto villages also served the extra-religious purpose of tax collection. See Andreas Kalkun, “Fasts and Feasts in Estonians’ Representations of the Seto Culture,” Journal of Ethnology and Folkloristics, 8 (2014), 53−73. See Ergo-Hart Västrik, ”Les traditions préchrétiennes des Setos,” in Missions du Musée de l’Homme en Estonie: Boris Vildé et Léonide Zouroff au Setomaa (1937-1938), eds. Tatiana Benfoughal, Olga Fishman, and Heiki Valk (Paris: Muséum National d’Historie Naturelle Publications Scientifiques, 2017), 553−565. Starting in the late 1990s, the Seto people have annually elected one individual to stand as ‘vicegerent’ for their mythical King Peko. The meaning of pilgrimages and the Setos’ position among pilgrims has been in dynamic change over the years. It remains to be seen whether attention paid to Setos by the Russian Orthodox Church leaders is a stable trend achieved through persistent lobbying by various Seto organizations or just a reflection of a (temporary) warming up of political relationships. E-mail message to Kalkun, August 16, 2017. Similar rituals sometimes take place also in contemporary North Karelian processions. See Teemu T. Mantsinen and Jere Kyyrö, ”Ritualisaatio historiallisen Raja-Karjalan ortodoksisissa ristisaatoissa,” Uskonnontutkija 6, no. 1 (2017): 19, https://journal.fi/uskonnontutkija/article/view/64961/26153. Aamun Koitto, no. 11 (1979): 190; no. 18 (1981): 348–9. Laura Stark, “Construction of Religious Experience in Orthodox Karelia,” Acta Ethnographica Hungarica 43, no. 1–2 (1998): 81–107. Matti Sidoroff, Ortodoksinen perinne Suomessa (Helsinki: Weilin + Göös, 1988), 63. Aamun Koitto, no. 11 (1981): 212–3; no. 18 (1981): 348–9. Vesa Takala, “Ristisaatto,” interview by Juha Riikonen, recorded March 2, 2012, accessed August 15, 2017, https://www2.ort.fi/sites/default/files/liitteet/ioannis-lampropoulos/Ristisaatto_0.pdf. Mantsinen and Kyyrö, “Ritualisaatio,” 1–48. Aamun Koitto, no. 23 (1965): 251–3. See Andreas Kalkun, “Setode elav õigeusk: Eelarvamused ja pärimus,” in Mitut usku Eesti IV. Valik usundiloolisi uurimusi: õigeusu eri, ed. Liina Eek (Tartu: Tartu Ülikooli Kirjastus, 2015), 193−223. The title was changed to ’Archbishop of Helsinki and all Finland’ to reflect the geographical concentration of the Finnish Orthodox, similar to the Finnish people in general, in Southern Finland. The office of the archbishop moved to Helsinki in the beginning of 2018. See Naletova, “Pilgrimages,” 244–5; Rock, “Touching,” 53–4.